Sustainable fashion is the key trend that’s showing no sign of slowing down. So it’s no surprise that long-life fashion is set to take centre stage at this year’s New Zealand Fashion Week (NZFW). This year, New Zealand’s premier fashion event moves to a new base and back to its origins at the historic Town Hall and Aotea Square precinct along with many exciting character destinations within the city. NZFW provides a launchpad for local designers to showcase their skills and grow their business both nationally and internationally. There are 55 shows and sessions scheduled over the week, attended by a focussed audience of 30,000 which includes local and international buyers and delegates. 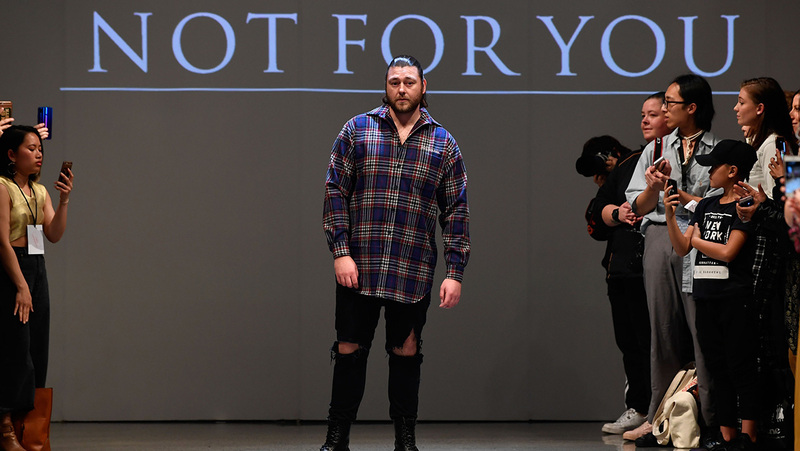 Jerome Taylor from Not For You, NZFW 2018. Photo supplied. Designer Jerome Taylor believes without NZFW, his label Not For You wouldn’t have made such an impact — both at home and overseas. “Not For You has showcased at NZFW for the past three years,” said Taylor. “We started in the Graduate Show in 2016 then in 2017 we showcased in the New Generation Show. In 2018 we had our biggest show yet which was also our first solo show. The brand has thrived by working with New Zealand Fashion Week and we have taken up every opportunity. Showcasing at NZFW has led to some amazing breaks such as [showing in] Harbin, China in January 2019 and Vancouver, Canada in 2018. A prospectus detailing the requirements for designers and the extensive support to assist new designers is available and designers simply need to complete the application form available on the NZFW website and submit by 17 May 2019. NZFW 2019 opens on Monday 26 August and runs through to Fashion Weekend which closes on Sunday 1 September.